Instant Pot Bacon Cheeseburger Meatloaf from Lisa @ Cooking with Curls PIN here. Back-to-School Cupcakes from Miranda @ Cookie Dough & Oven Mitt PIN here. No-Bake Peach Yum Yum from Tracey @ The Kitchen Is My Playground PIN here. Deck Privacy Screen from Repurposed Doors from Marie @ The Interior Frugalista PIN here. One of these days we’ll get around to getting an ice cream churn. I think that would be a fun activity for the girls, especially as they get a little bit older. But for now, I’m all about no-churn ice creams when we make it here at home. Have you ever tried one of those recipes? Well, today, you’re in luck! I’ve got five great ones for you! Colorful and Crafty Embroidery Hoop Wall Pockets from Jen @ Jennifer Perkins PIN here. 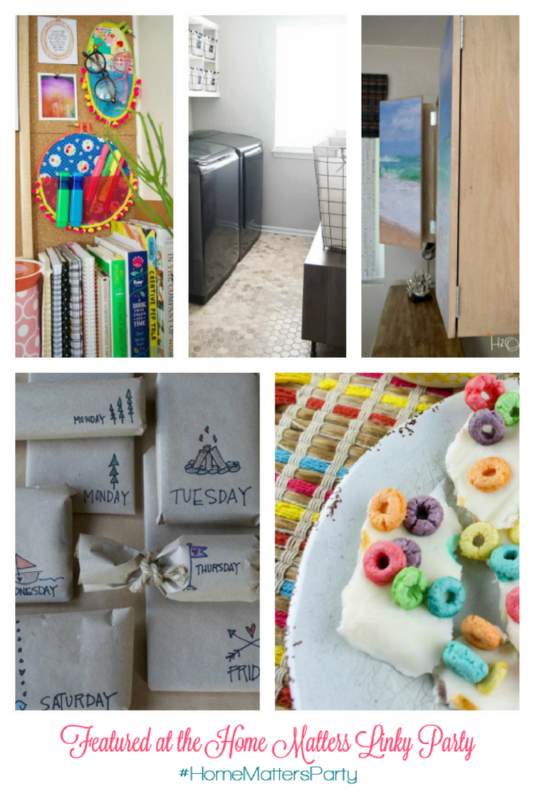 How To Organize a Laundry Room from Ashley @ Simply Designing PIN here. DIY Wall-Mounted TV Cabinet from Wendi @ H2O Bungalow PIN here. 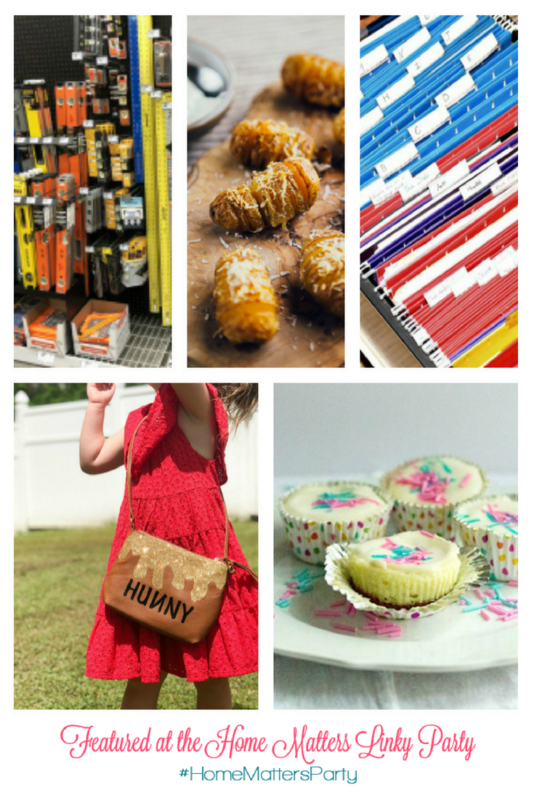 Camp Care Package Ideas Without Food from Jennifer @ Satsuma PIN here. An Easy Breakfast Your Kids Will Love from Erin @ My Mommy World PIN here. Thank you to all who linked up at last week’s party. We look forward to seeing what you will be sharing with us this week! 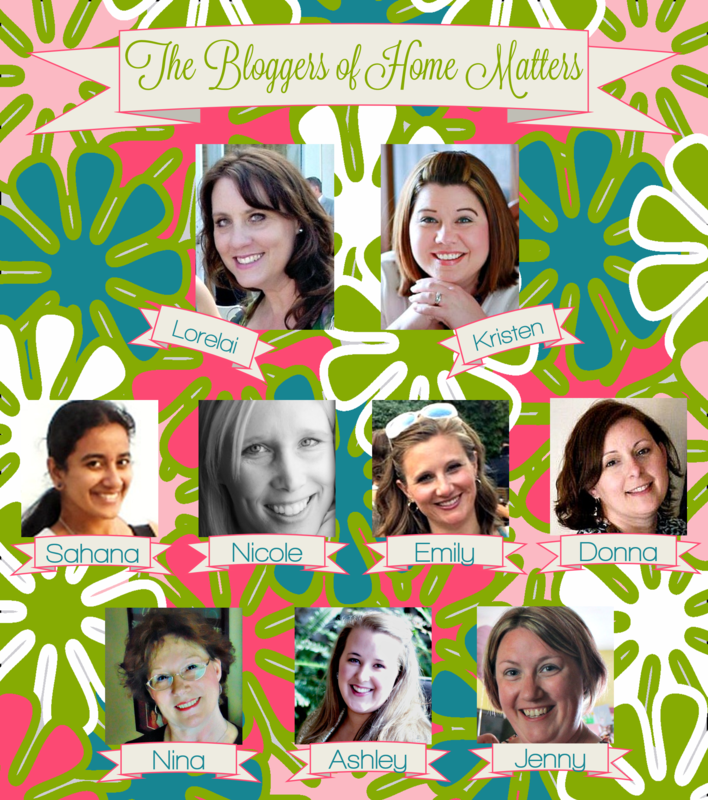 Remember that every feature is shared on all Host’s and Co-Host’s blogs, as well as on the Home Matters Linky Party Pinterest Board! 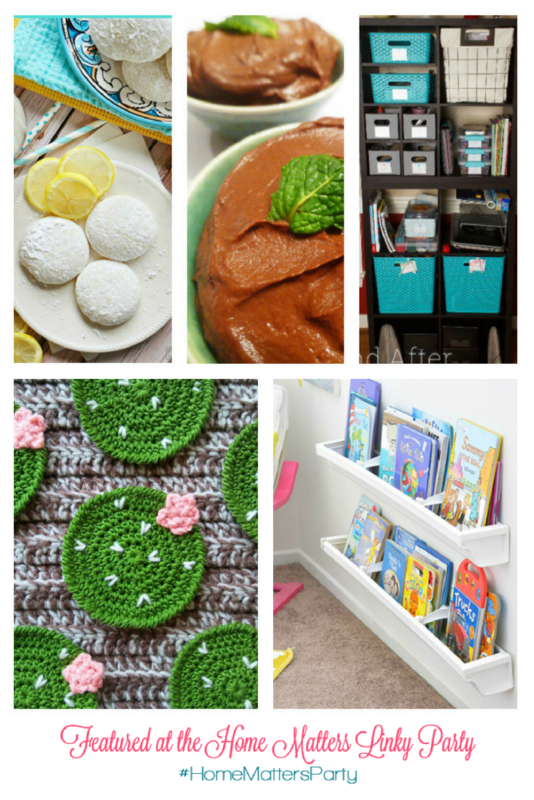 Don’t forget to follow… Follow Home Matters Linky Party Board on Pinterest. I’m pretty well-versed in BBQ, and one of my favorite things to throw on the grill is a foil packet. 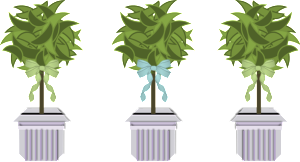 I guess I like the fact that everything can be wrapped up in a nice tight little package…and that clean-up is a BREEZE! 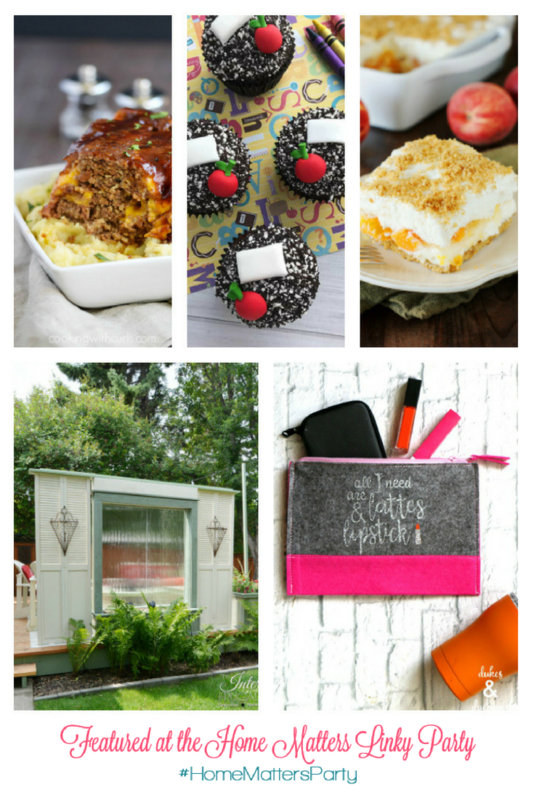 So here are a few great foil packet ideas I’ve discovered and would like to share with YOU!